WISCONSIN DELLS, Wis. – Registration is now open for the Dells’ Junior Golf Championship presented by American Family Insurance on July 1-2, 2019 at Wild Rock Golf Club and Trappers Turn. The Wilderness is also home to the nationally-acclaimed Sundara Spa where a full range of spa services are offered, including a specially-targeted golfer’s massage. A variety of dining options are available at the Wilderness including Sarento’s Italian Restaurant, Field’s Premier Steakhouse, and several more. 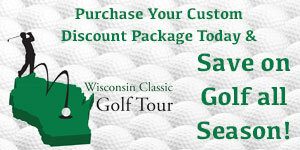 The resort offers stay and play golf vacation packages as well. For more information on the resort visit www.wildernessresort.com or call 1.800.867.WILD (9453). Trappers Turn is a part of the Kalahari Resorts & Conventions experience. Kalahari Resorts is home to America’s Largest Indoor Waterparks and is an authentically-African, all-under-one-roof family vacation destination that provides a beyond expectations experience with fun for every member of the family. For more information or to reserve a tee time, visit www.trappersturn.com.